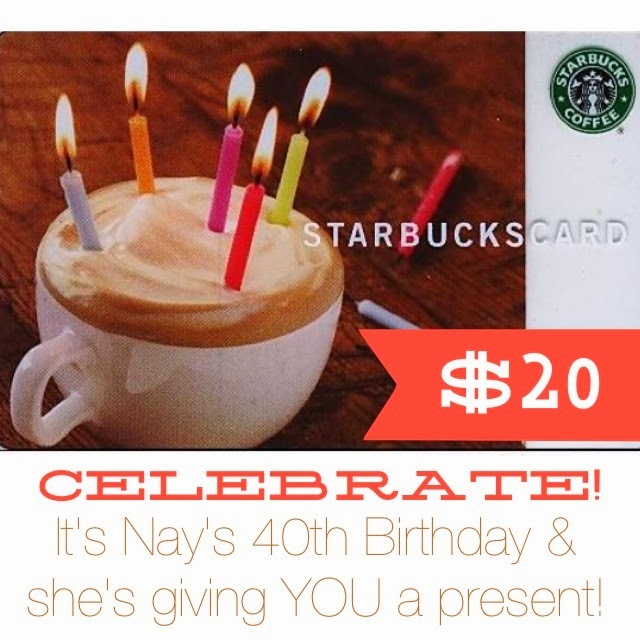 20 Wishes Link Up Party + $20 Starbucks GC Giveaway!!! It's 20 Wishes Progress and Link Up Time! I really like this month especially since it's my BIRTHDAY month! Let's see how I did, shall we? 2. Make business cards to match blog. 4. Thank you or Thinking of You notes sent to a friend (once a month). 5. Have a girl date. 6. Have more Mommy & Me dates with Lovebug. 8. Trips to the mountains. Maybe during Spring Break next month! 10. Have tea with my Mom. 12. Finish off General Education requirements and start classes for my major. 13. Make an edible and tasty roast beef. 14. Juice at least once a day. 15. Walk at work during breaks. 16. Take a day or two off by myself. Only 1 out of 12 read...really want to find something I can't put down! 18. Make a plant arrangement. 19. Get my hair professionally done. Just got a gift certificate for a Blow Out bar in my area...fun! 20. Schedule out time for writing. The link up will be the last Wednesday of every month. Each month one or two of our ten hostesses will offer a little something as a giveaway for those that link with us. Meet this year’s hostesses for the 2014 Twenty Wishes project. Are you ready for the GIVEAWAY?!?! Feel free to grab the button below to add to your side bar to remind you to come back and link monthly, and to serve as a little encouragement to work on marking off your wishes! HAPPY BIRTHDAY MONTH pretty friend!!!! Hope you celebrate all month long!!! !